In present-day Paris, Diana receives a photographic plate from Wayne Enterprises of herself and four men taken during World War I, prompting her to recall her past. Daughter of Queen Hippolyta, Diana was raised on the hidden island of Themyscira, home to the Amazonian warrior women created by Zeus to protect mankind. 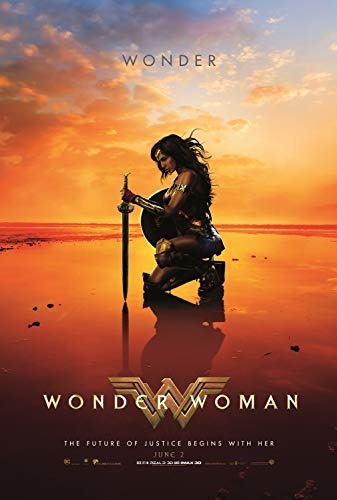 Hippolyta shares the Amazonian history with Diana, including how Ares, Zeus's son, became jealous of humanity and orchestrated its destruction. When the other gods attempted to stop him, Ares killed all but Zeus, who used the last of his power to wound Ares and force his retreat (thus dying in the process). Zeus left the Amazons the island and a weapon, the "Godkiller", to prepare them for Ares' return. Read more on Wikipedia.